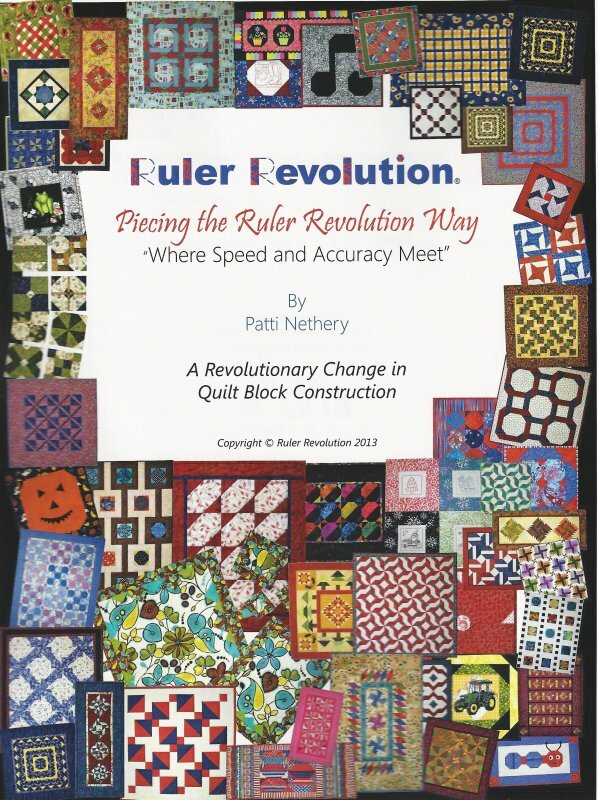 The Instruction Manual is 75 colored pages of tips and techniques on using the Ruler Revolution rulers. Each ruler is designed to be used in multiple ways. The 24 in 24 rulers are for marking 24 half square triangles in 24 minutes but are also used to make quarter square triangles, picket fence units, house tops blocks, and slanted diamonds. The Sticks and Stones rulers can be used to make 4 units at a time with a rectangle and a triangle at one or both ends. Learn how to use these rulers to make seven variations of this unit with only rectangle pieces of favorite. The author's favorite, the Snowball ruler, can be used in so many ways there is going to have to be a book on all of its uses. But, for now, learn how to snowball squares and rectangles in any size that turn out perfectly every time without cutting and sewing small squares. Construct Miters in Minutes effortlessly and perfectly. Create intricate looking designs without cutting and sewing small pieces of fabric. Remember constructing Leaf Stem blocks one at a time by sewing a triangle on each side of a rectangle? No more! Make multiple units at a time in 1,100 possible sizes with the Leaf Stem ruler. It is all truly revolutionary!